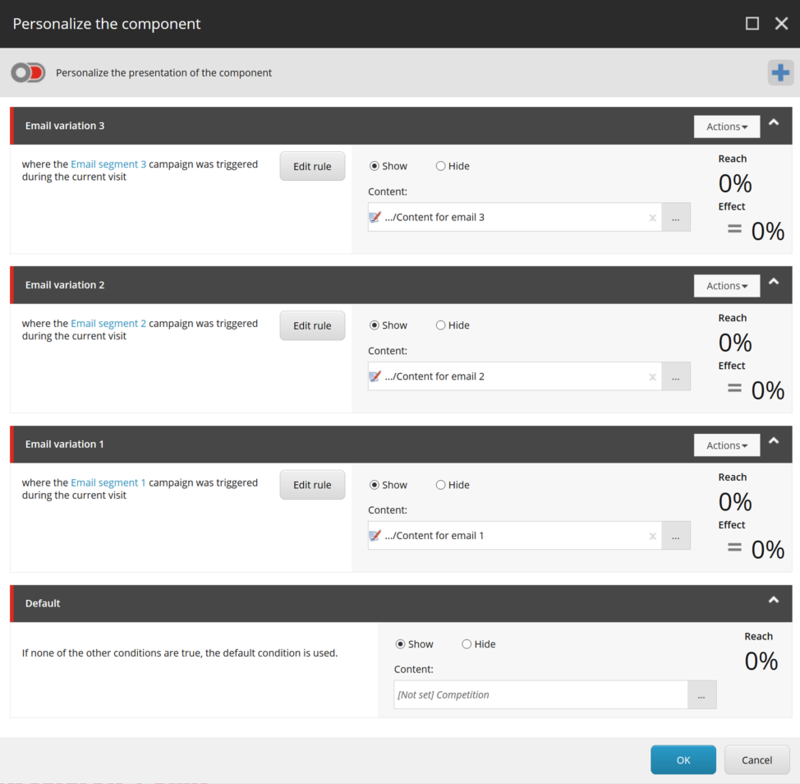 Sitecore supports a plethora of different personalization options ranging from simple rule based personalization, which has the ability to change content when simple if/then statements are met, to more complex scenarios around user behavior in the form of profiling. The question I get asked most often is where do we start. The easy answer is to start simple. Most of the times personalizing content around campaigns being triggered by the visitor is a good way to start. A lot of visitors come into the website with a clear intent. A lot of time this intent is expressed by looking at the page they land on, or which advertisement they clicked on coming into the site. Another great way is by looking on which article they clicked on from a newsletter they received. 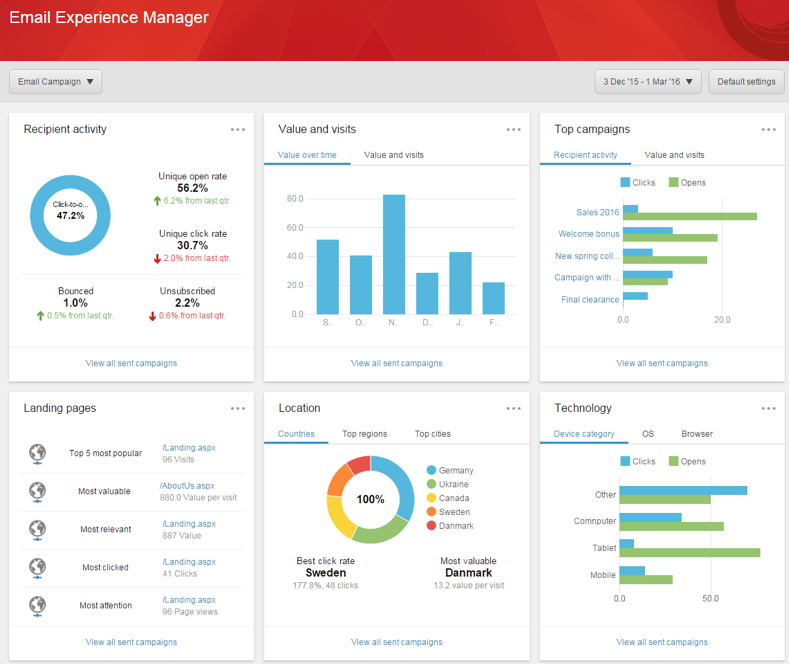 Sitecore recently released version 9 update 1. One of the most significant additions in this updated release from an end users perspective is that EXM (Email eXperience Manager) is now installed out of the box. Even though EXM is now included it does not mean you will be able to use it right away. EXM requires specific email templates to be built to utilize all its functionality. It makes a lot of sense using EXM from an integrated marketing perspective. It gives the end-users an interface they are already accustomed to and makes it easier to measure the impact of their marketing efforts in a concise way across channels. The reuse of website content within emails can be a real time saver as well. One of the biggest benefits of using EXM is that it makes it really easy to personalize the website based on the email the visitor has clicked. 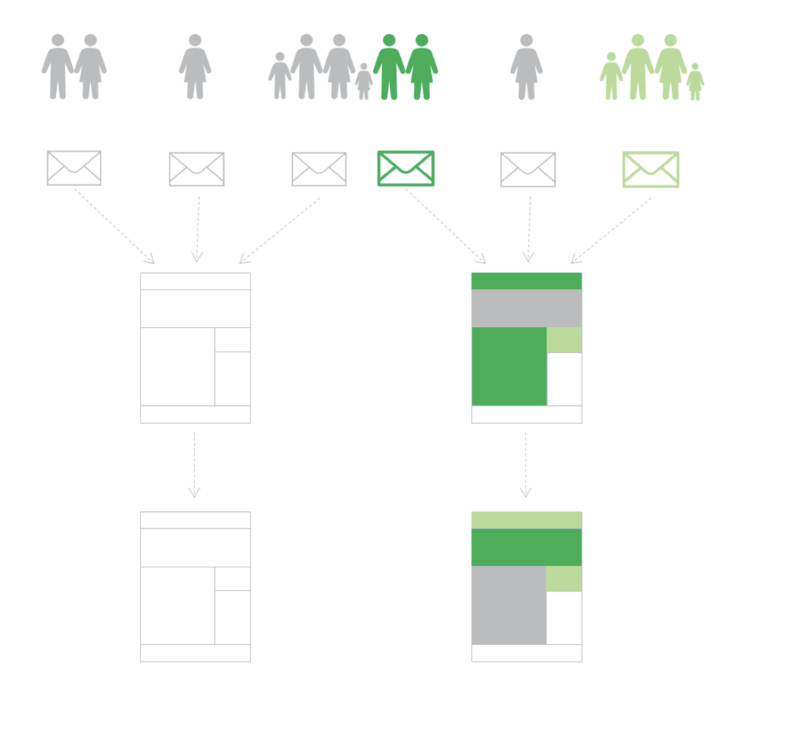 Let’s dive a little deeper in the personalization scenario. Even though EXM makes it easier to personalize the website, it can also be done relatively easy if the organization makes use of a different email system. It only requires a couple of addition steps that would otherwise been done for you. In this blog post I will explain how to personalize the website based on which segmented email message the visitor has clicked on. Recently I gave an inspiration session at one of Mirabeau’s long time customers Transavia. Transavia is a low cost airline carrier and a subsidiary of the KLM. Transavia is using Sitecore as their CMS, however they use a different system for their email communication. The question I got was if it is possible to personalize the landing page based on the segmented email the customer received. Let’s say we want to send out three different email messages based on three different segments. Within our contact list we have families, singles and couples. We create specific content for our messages that would be most relevant to those segments. Additionally we have created a single landing page where all three messages point to. Normally each segment would see the same landing page, which would not be very relevant and would undermine the whole point of segmenting your contacts. You could chose to create three separate landing pages for each email, however this does require additional work and as soon as they click away from the initial landing page they are being presented with the generic website again. This is where Sitecore campaign come into play. 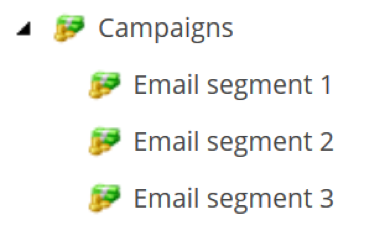 For each email variation we create a separate Sitecore campaign. Make sure to deploy the newly created campaigns, or they can’t be used. For now we will not focus on all the additional facets we can configure on the campaigns, but only copy the campaign link. 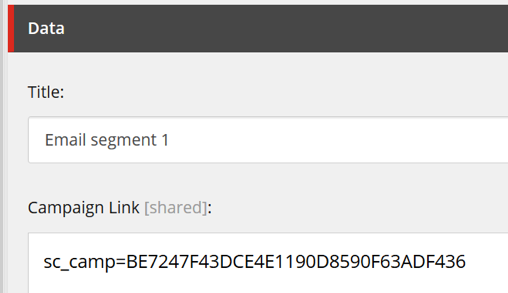 We should now have three different campaign links corresponding to the campaigns we just created. Now we can change the content on the landing page based on which campaign was triggered coming into the website. We select the component on the page we would like to personalize and open the personalization dialog from the experience editor. Now add the following conditions and select the alternative content that should be displayed for each variation. As a bonus we can use the same conditions on additional pages as well other than the initial landing page. This is an easy way to be more relevant to your visitors and show them more relevant content based on the segment they are in. It’s important to keep in mind that personalization is not a goal in its self, but a means to an end. Relevants leads to a better user experience and the more relevant you are for each individual visitor the more those visitors are willing to interact with your brand. We all understand that not all visitors are the same. Let’s start treating them more as individuals.